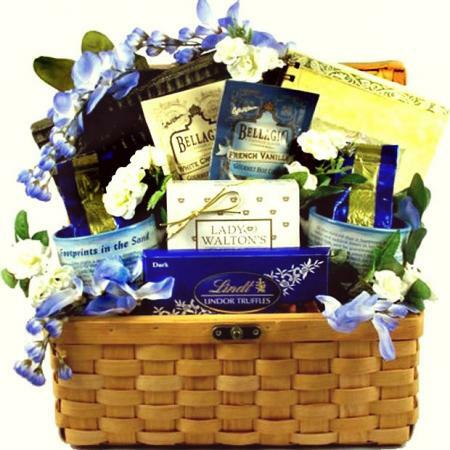 Our inspirational gift basket filled with gourmet food and Christian gifts creates a meaningful gift for any occasion. This Christian gift basket trimmed with silk wisteria, roses and designer ribbon is a customer favorite. A handcrafted wooden keepsake trunk, complete with brass latches, is filled with some of our favorite Christian gifts and gourmet foods. Certainly a stunning presentation.